Designed for drivers, office staff and your customers. 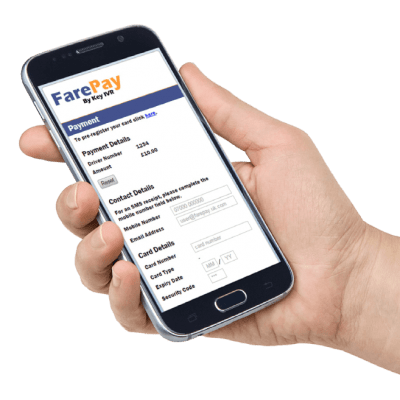 Protected 3D secure transactions for Fare, Base Rent, Pre-Payments and Invoice Payments. Offer your customers and drivers a simple in-car payment solution. Combined with Office Virtual Terminal and 3D Security, Level 1 makes driver payments a breeze, saving you time and money. All the benefits of the Level 1: In-Car package, plus a tailored self-service suite with telephone IVR. Our service lets you change credit and debit card permissions across services and apply custom surcharges to transactions. Our unique Click-to-Pay service is 3D Secure, and can prevent chargebacks – protecting your money. All the benefits of Level 1: In-Car and Level 2: Office, plus our automated service which lets your drivers easily manage their payments. The Driver Suite frees up office resources, giving your drivers more time on the road, making more money and providing a better overall service. 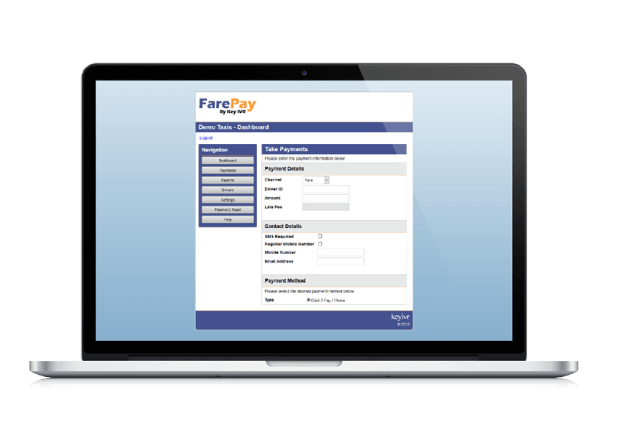 We’d be happy to show you FarePay in action with a one-to-one on-screen demonstration from a FarePay expert.